Marlene has performed for international and national audiences, including her most recent concert in Canezac, France in 2016. Esteemed audiences at home include former Massachusetts governor Deval Patrick, Mayor Menino and MA senators. Abroad, she has performed for Philippine ex-presidents Cory Aquino and Fidel Ramos and Thailand’s Princess Chulabhorn. She is available in solo and large ensemble settings. Her group, The Marlene Jazz Ensemble has been the main feature for the exclusive New Year's Eve event at Chatham Bars Inn two years in a row and is Boston Fairmont Copley house ensemble for the Bacchanale dinner and wine series. She also performed at the 2017 Arlington Jazz festival, 2008 Philippine International Jazz festival, Boston Arts Festivals, the famed Acton Jazz Café, Beehive and Ryles Club for the UN-sponsored benefit to remove landmines in Mozambique, Worcester First Night, Boston tv's "Fernando's Hideaway" and has appeared on Peruvian tv and concert halls. She was featured in an interview by WGBH Boston's Jazz Gallery host, Al Davis and her second CD with Blue Earth Music, "Marlene LIVE With a Little Help From Her Friends" enjoys national and Canadian airplay and features New England’s best, including Greg Hopkins (trumpet), Dave Landoni (bass), Brooke Soffermann (drums) and Patrick Mottaz (guitar). Marlene is also band leader of the instrumental group, Jazz Breeze and is co-founder, vocalist and keyboardist of The Brazilian Project. In addition, she is a teaching artist at Zumix, a non-profit organization that promotes youth empowerment through music and the arts. Discography: Marlene LIVE With a Little Help From Her Friends (2008) and Crying Days (2003). 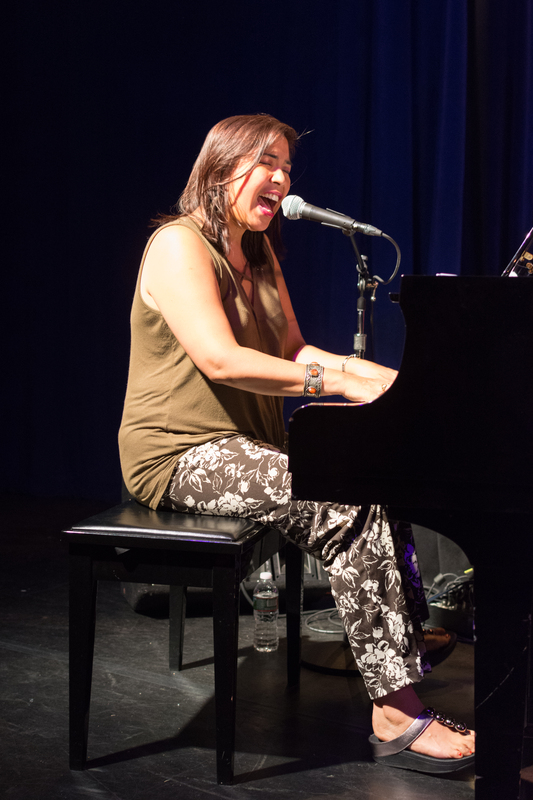 Prior to moving to Boston, Marlene enjoyed a dual life as a telecommunications executive in the Philippines while moonlighting as a jazz musician. Her tunes, including a pop chart hit, have been recorded by some of the top artists in Manila. Marlene has garnered several awards in songwriting and has represented her country in the 1992 Asian “Song for Children” songwriting competition (Toyama, Japan). Asked about the solid corporate career she left behind, Marlene quips, “You’ve only got one life to live, are you where you want to be?” And as it turns out, this line has been woven into her tune, “Bus To Boston”.